Transferred from the Office of Alumni Relations, 2005. Gift of Carmella’s daughter. This collection contains two scrapbooks. Each scrapbook consists of loose photographs, correspondence, newspaper clippings and programs. Both scrapbooks are housed intact in their original bindings. 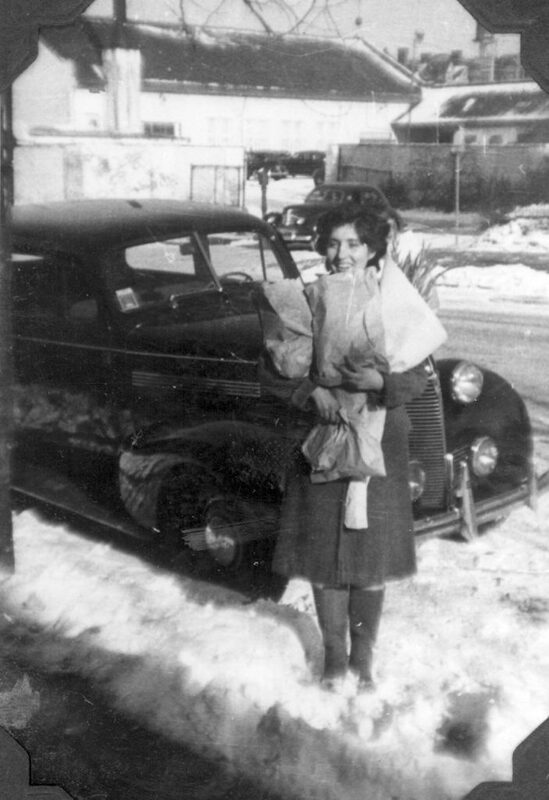 Carmella Angelina Gonnella was born in 1922. She attended Vare Junior High School in Philadelphia, PA. In 1936, she completed ninth grade and proceeded to the Philadelphia High School for Girls. At Girls High Carmella participated in athletics, the Natural History Club, and the Service Club. She graduated from the school in 1939. Following high school, Carmella attended the School of Education at the University of Pennsylvania. While at Penn, Carmella participated in many activities. She served as class treasurer her freshman year; as chairman of Sophomore Camp during her sophomore year; as a counselor at Green Lane Camp her freshman and junior year; as golf manager in her freshman and sophomore year and as a member of the basketball squad her sophomore year. She was also active in the Alpha Chi Omega sorority. Carmella graduated with a Bachelor of Science in Education in 1943. She went on to earn Penn’s Master of Science in Education in 1944. Carmella received a certificate in physical therapy from the U.S. Army in 1946. In 1963, she earned a Ph.D. in Educational Psychology from the University of Texas. Carmella spent her career working in the field of physical therapy. Her professional appointments included a faculty position at the Sargent College of Health Professions, Boston College and as director of the Regional Rehabilitation Research and Training Center, Emory University. In 1992, she retired as an Emory professor emeritus. The first of the two scrapbooks contains photographs, some correspondence, newspaper clippings, programs and awards from Carmella’s school days, beginning in 1936 with a graduation certificate and program from Vare Junior High School in Philadelphia. The scrapbook also documents her years at the Philadelphia High School for Girls from 1936-1939. It contains photographs and other materials from her attendance at the Trail’s End Camp; school schedules; programs for stage performances; athletic awards; photographs of friends and photographs of a school trip to Washington D.C. The scrapbook goes on to document her first two and one half years at Penn (1939-1941), including photographs and other materials of Green Lane Camp; Penn student politics; Pirates’ Ball; Penn sports events; Alpha Chi Omega; Hey Day; and various dinners and banquets. The second scrapbook covers Carmella’s attendance at Penn during her last two and one half year (1942-1944). This scrapbook contains photographs, newspaper clippings, correspondence and programs documenting her involvement in Green Lane Camp; Alpha Chi Omega; Commencement; and her time spent working for the American Friends Service Committee in Rhode Island. Philadelphia High School for Girls (Philadelphia, Pa.). University of Pennsylvania. School of Education.